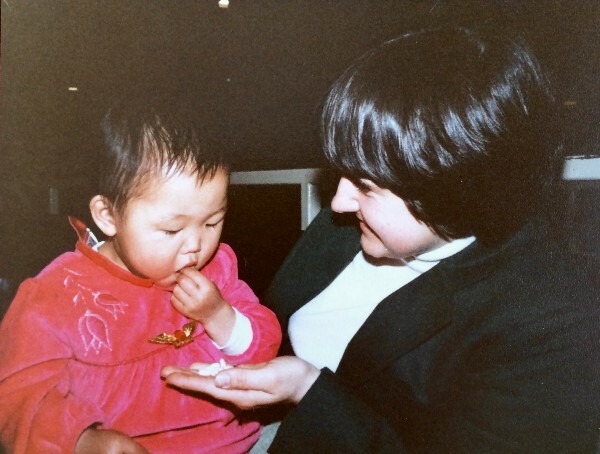 When I was a baby, probably around 12 months old, though I can’t be sure, I was abandoned in a supermarket in Korea. I never saw my birth mother again. I like to think that when I was found I was nestled with care in a bed of gomchwi, a jar of kimchi tucked into the folds of a soft blanket wrapped snugly around my baby body — a fermented fairytale of sorts. But this was most certainly not the case. There I was surrounded by shelves piled high with fruits, vegetables, meat, grains, fermented delicacies and spicy condiments, but helpless to help myself. With hands outstretched, hungry for human touch and nourishment, my tiny child self, suffering malnourishment and tuberculosis, was powerless to demand what it needed. In March of 1982 I arrived at JFK airport in New York City. 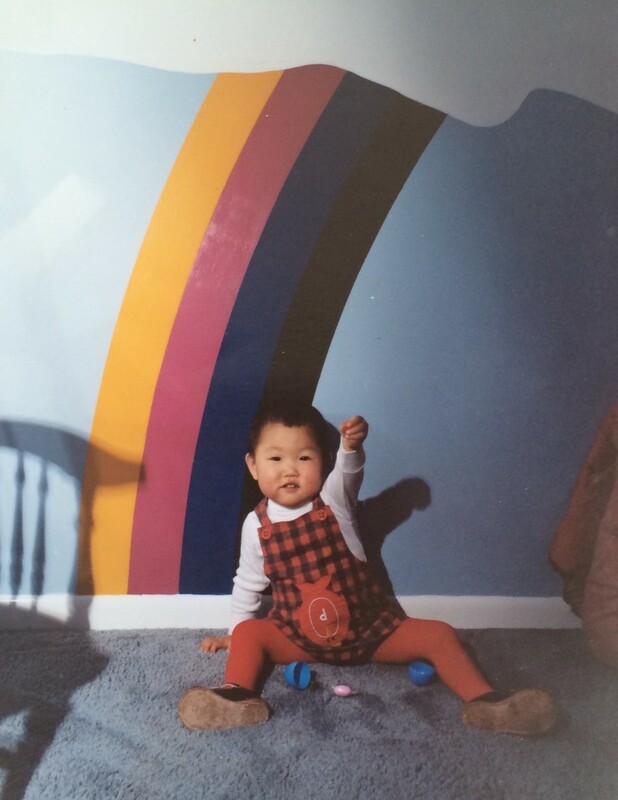 I was two years old and had endured a 14-hour flight alone from Seoul en route to meet my family. They were strangers to me. Would they become familiar faces or transient apparitions? My brief existence up until that moment was informed only by the temporary, the fleeting. “Home” was the orphanage I’d been placed in after I was discovered in the supermarket. There were no loving touches or attachments. Life was a solitary routine consisting of cursory socialization and only enough food to prevent starvation — the bare minimum for survival. I don’t remember any of this as I was too young, but its influence on me took root then and there. At the airport that day in March, my parents, my brother and my grandmother were there to greet me. My mother had brought with her a number of snacks, assuming that after such a long journey I would be hungry. Call it a mother’s preparedness, or simply the first of her many uncanny instincts about me. Whatever the impetus, her outstretched hands filled with puffed rice were exactly what I needed — both for what they contained (nourishment for my body) and for what they represented (nourishment for my heart). I didn’t know this woman, but she somehow knew me. Being accustomed to impermanence, how long would it take to feel comfortable in my new life? Would this stop be any different than the orphanage, or the foster family I’d been placed with in Korea prior to my journey to America? There were new surroundings and new faces, new smells, textures, tastes. Most two-year-olds are starting to express themselves using words. I didn’t speak their language; they didn’t speak mine. They would sometimes find me sitting in the rocking chair in my bedroom quietly singing Korean folk songs to myself; not forlornly, simply content. I learned early to exist in my aloneness, and to rely on myself for comfort. If I had also been capable of preparing my own meals I would have been the model of self-sufficiency, never needing anyone. Luckily, it was through the very fundamental act of giving and taking food that I learned to give and take emotion. My whole adult life up until that moment I had always believed I was left on the doorstep of an orphanage. 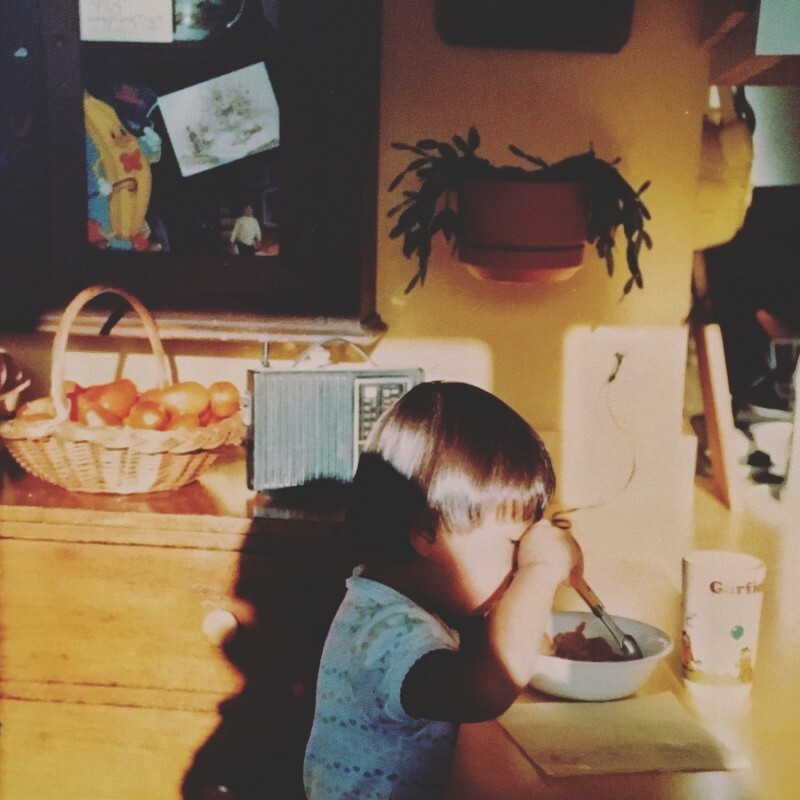 In processing the new revelation of my humble (and hungry) beginnings, I started thinking more about the person I was in that moment — my fears, my strengths, my insecurities, my penchant for cooking and eating. If every cause has an effect, was the person I had become (and continue to evolve into) indelibly formed by that first introduction to the world — alone, surrounded by chaos, food, and strange faces? Was I forever destined to crave intimacy, but only know loneliness? To struggle to find balance between desire and need? To always be hungry? To the last question I knew the answer would unequivocally be yes. I view every meal as an opportunity, whether to experience pure joy in the moment, or share personal expression where sometimes words fail me. For better or worse food will always dictate the path of my life. Soon after my mother revealed to me the food-borne nature of my origins, I found myself struck with a sudden desire to learn about and cook all of the foods of Korea. I pored over cookbooks and trolled online recipe sites to educate and inspire, and in doing so perhaps also find a commonality with myself. Being adopted was old news, but the intricacy of my relationship with food suddenly took on new meaning. Traveling alone to Korea in 2012 was a significant first step in confronting the duality of my life. I had grown quite comfortable with being adopted, but still remained distanced from my heritage. The trip had all the makings of a perfect paperback journey of self-discovery — the long ago forgotten child returns to the motherland and learns that there’s more to discovering her roots than just a love for kimchi. There would be laughter and tears, a clumsy romantic interlude — what a bestseller it would be! A violent fit of food poisoning dashed many of those fictional notions, but despite illness and the predictable reality of my not made-for-TV trip I managed to eke out a handful of moderately healthy and thoroughly enjoyable days. Almost all activities were structured around where, what and when I would be eating. I was staying with a friend, a first generation Korean-American living and teaching English in Daegu (where coincidentally I was told I was probably born), whose own food tendencies were so eerily similar to my own that I had to wonder when we first met many years ago in Brooklyn whether it was just the Korean way. She took me to her favorite places — this one had the best tteokbokki, another was a special spot for jun, and close to her apartment there was a frenetically youthful joint good for groups and drinking makgeolli. It was glorious so long as my stomach cooperated. And yet, even when my insides revolted I inhaled everything, enjoying the momentary pleasure while happily awaiting the inevitable digestive discomfort. When I first came to live with my family at the age of two, my mother likes to recount how I could eat four scrambled eggs in one sitting (still do) and pick up a single grain of rice with chopsticks. She would lovingly make me simple broths when I was sick, and prepare my favorite meals on my birthday. My regular perch quickly became a seat at the kitchen counter in full view of her and whatever she was creating on the stove. Watching her throw a little of this (and sometimes too much of that) into a pot, I marveled at her abilities and wondered if I’d ever be as good. 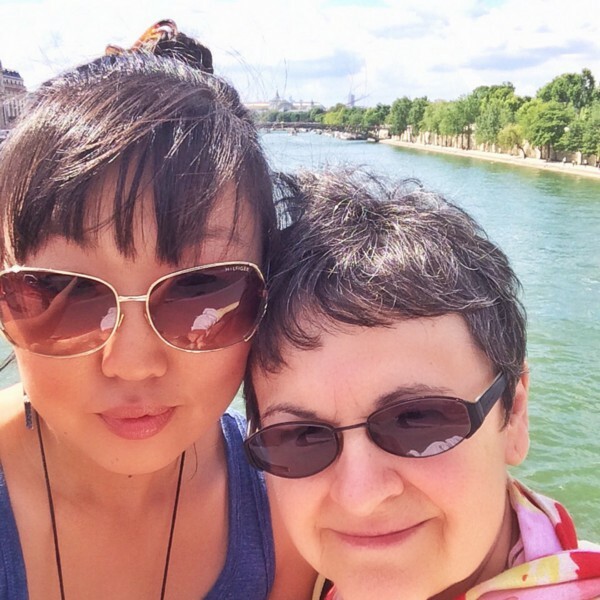 Her love of cooking eventually became my love of cooking, her love for me became ingestible affection; and in that way we are intricately connected — mother and daughter. In the orphanage, I am told that I would hide bread under my leg to prevent the other kids from stealing off my plate. For a long time after, I still hoarded food and hated sharing — a deep-seated defense mechanism to protect what was mine. Until my mid-teens I ate painfully slowly and deliberately, often remaining at the dinner table long after everyone had left. I couldn’t help it. I savored every bite, experienced every flavor and familial interaction. Around the dinner table the food was plentiful and love flowed easily from each face staring back at me, so I would make every mealtime an event lasting as long as possible. Finding myself through food has always been my own version of therapy. Growing up in a white community where it was painfully obvious at first glance that I was different, my childhood and young adult tastes in food only made me stand out more. In grade school, other kids would unpack their peanut butter & jelly sandwiches at the lunch table, and I would pull out leftovers of last night’s stir-fry or lamb shish kabob. Enduring the inevitable stares and disgusted outbursts in those early years (“Gross!” “Ew!” “What is that? !”), I buckled to a bit of conformity in high school and opted for chicken nuggets and fries like everyone else. Trying to assuage my natural cravings for more dynamic and exotic flavors became sport. In college I would satisfy those needs most often in secret — driving alone to the best of the worst Thai or Vietnamese restaurant in the area and sneaking a taste. It wasn’t until I moved to New York, after college, that I began to let my subversive behavior express itself in the open. 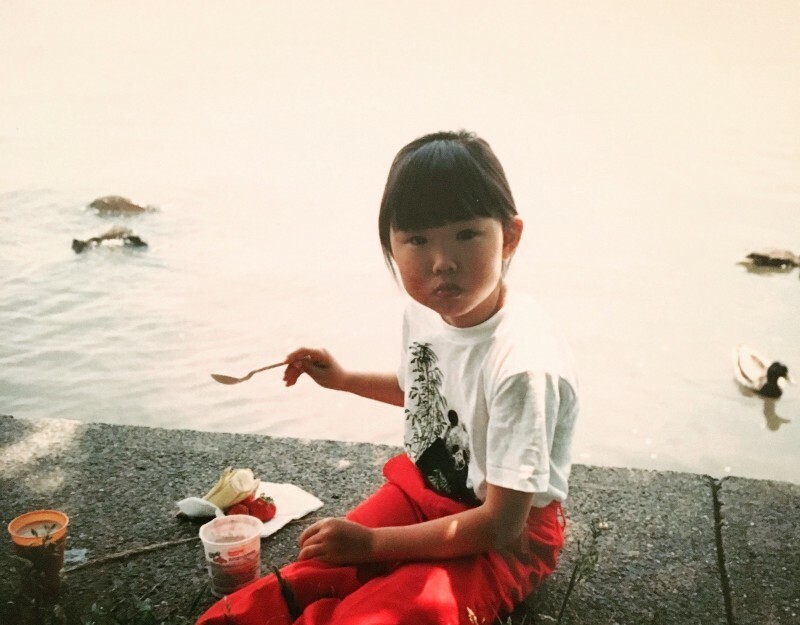 New York allowed me to come out — as an eater of Asian food. Having survived those adolescent years of suppressing my true food desires and hiding them from friends and loved ones, I now desire to cook for people, or take them to my favorite noodle spots in Chinatown as a demonstration of affection. In this way I share myself. There is truth in the connection I feel, not only to other people, but also to myself when cooking and eating. 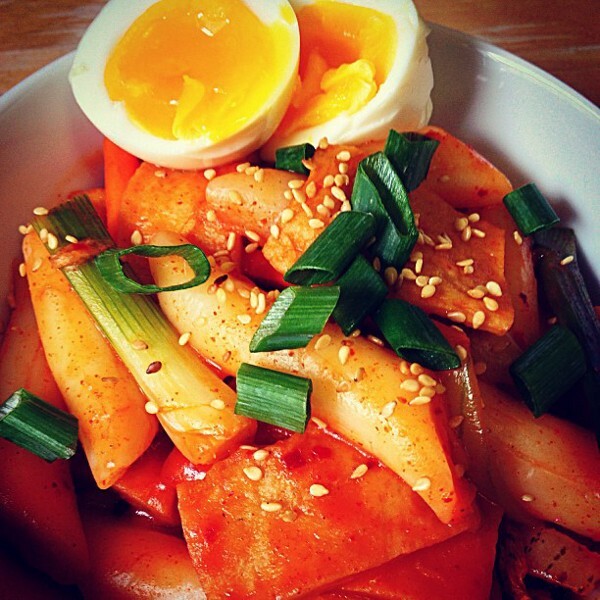 The first time I ever had tteok, I thought I’d never tasted anything so perfect. “I really am Korean”, I thought to myself. “This need, this desire, my taste buds, they crave this” — and I felt a sense of authenticity. The continued work I do on myself can be easily perceived as gluttony (and sometimes maybe a bit gratuitous), but the true pursuit is self-improvement and discovery. I’ve often been asked about wanting to find my “real” family. I used to answer this question quickly with an indignant, “No”, though there is of course a natural curiosity, a need to know something about the genetic framework from which I was created. But the insinuation that there is a more “real” notion of family than the one I know is unfathomable. My mother told me years ago that she always hoped I would give birth to my own little girl because she never had the chance to know what it was like to hold me as a baby. I often think about how it would feel to look at another human being and see myself reflected. The physical resemblance may be life affirming in some way, a cementing of my own existence, perhaps. But I know that as long as I can share my love of food and cooking — that same passion that my own mother swaddled me in with such care — the mother/child bond will transcend anything one could discover in a blood test. There is of course an inescapable truth to my adoption: that there was a person who I belonged to, and who, for reasons I will never know, walked away. But any residual emotional damage from being “owner surrendered” by my birth mother only made the introduction to my new family all the more special. I had a hole in my heart left by one person that was easily filled by three. The innate generosity, beauty and capacity for love found in my parents and my brother was restorative. The scars eventually healed, but I’m grateful that they will always be with me, reminding me of where I started and what it took to be where I am now. I wear them as a badge of honor of the many circumstances that came together to bring me this most fortunate life, and of the sacrifices and growth needed to truly understand oneself. I am the product of a beautiful family who, on January 26, 1982, were shown my picture and told I would be theirs — symbolism not lost on anyone, as January 26 is also the day of my given birthday. I have found strength in their nourishment, and despite having zero shared DNA, they are the truth in my life and the framework from which I exist. Learning to love and to be loved is possible when you know love, and I have known love all my life. In the role-playing game of life, the “adopted” attribute is often misunderstood.